Our comfortable rooms include refrigerators, microwaves and HBO. We offer a fishermen and senior discount. Fishermen are welcome to use our freezer facilities. Subscribe to our newsletter to always be updated on what's new in the Lone Pine area. See more, learn more! Need a job? Have a job to post? Let us know! 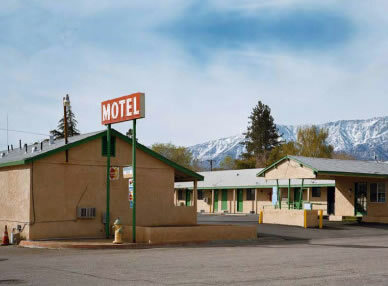 © Copyright 2019 Lone Pine Chamber of Commerce. All Rights Reserved.